Turn your body into a canvas for delicate color and flowing elegance. 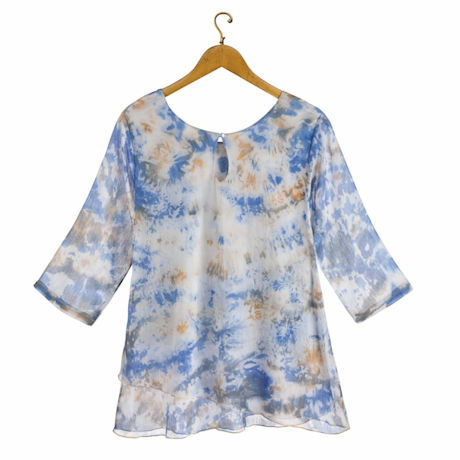 Scoop-neck tunic has an asymmetrical hem and sheer ¾-length sleeves. Machine wash. 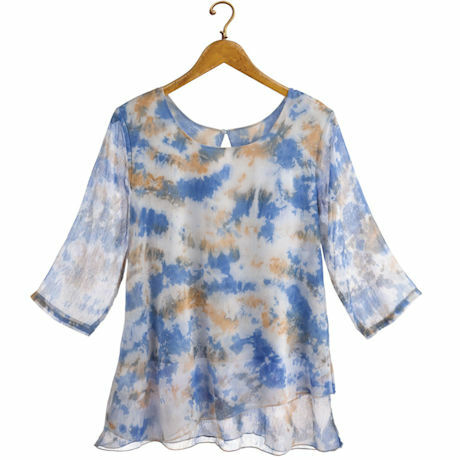 Shell is 100% nylon chiffon; lining is 100% cotton. Imported. S(6-8), M(10-12), L(14-16), XL(18), 1X(18W-20W), 2X(22W-24W), 3X(26W); 30"L.